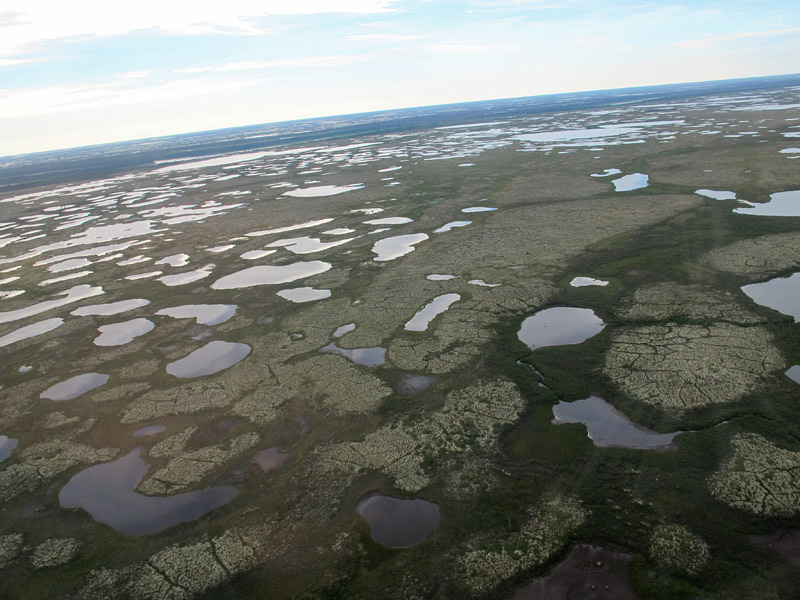 From a helicopter, the tundra ponds in Manitoba’s Hudson Bay Lowlands are countless. As World Water Day draws to a close, here are a few images illustrating a fraction of Canada’s immense store of fresh water. World Water Day brings to the fore humanity’s concerns about fresh water, health, and environment. Canadians need to be far more aware that Canada holds about 20% of the planet’s freshwater resources; this water is critical not only to our population and industries, and to our marvellous wilderness and ecosystems, but also to the global environment. These photos were all taken during my travels in the past year. 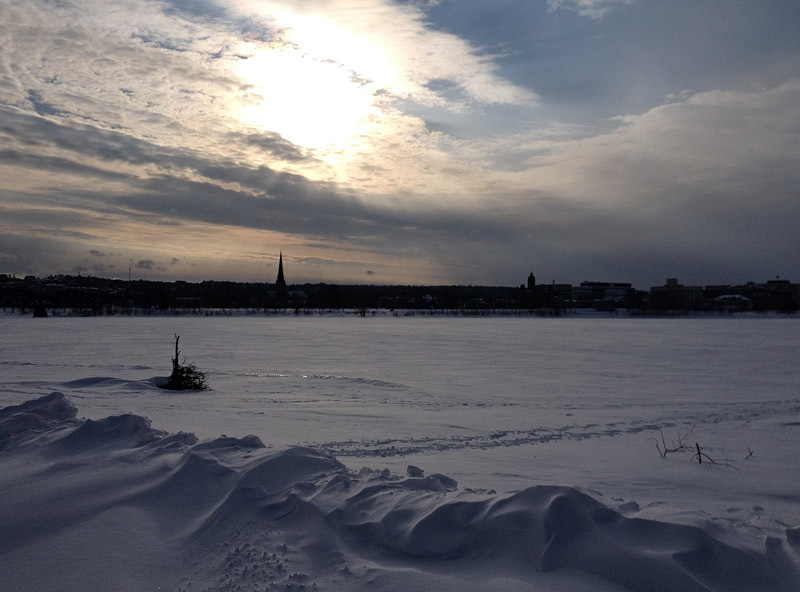 New Brunswick’s Saint John River changes dramatically from season to season. 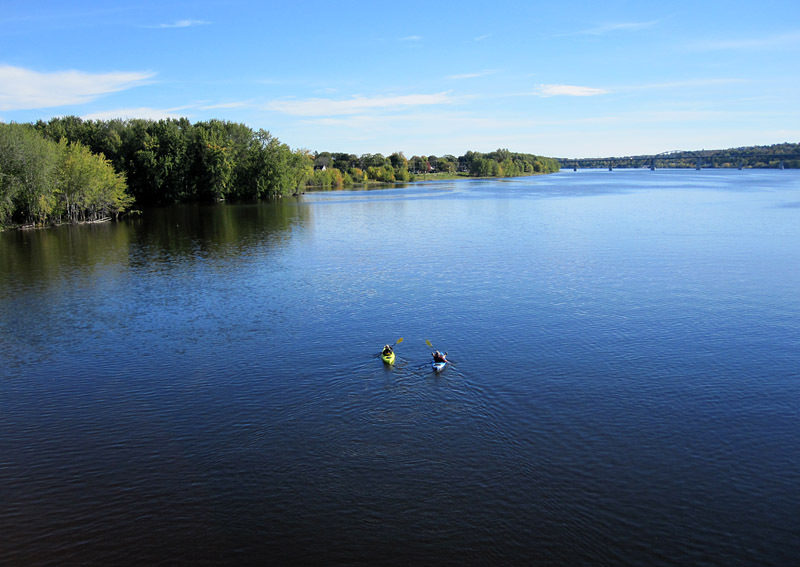 In Fredericton in the dead of winter, it is a sahara of snow . . .
. . . while during spring freshet the river below Fredericton fills most of its valley . . .
. . . and on a warm autumn day, the river is a perfect recreational waterway. 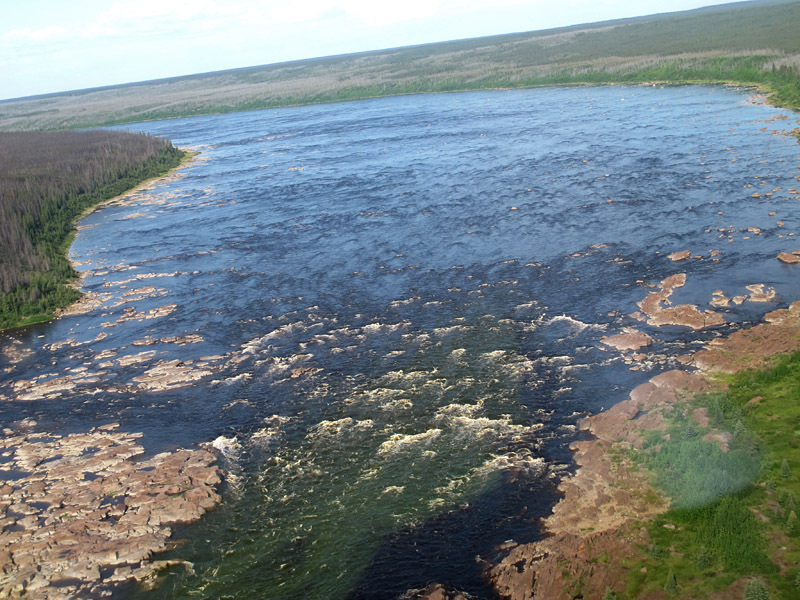 Arcuate rapids mark dangerous water at Portage Chute on the Churchill River of northern Manitoba. 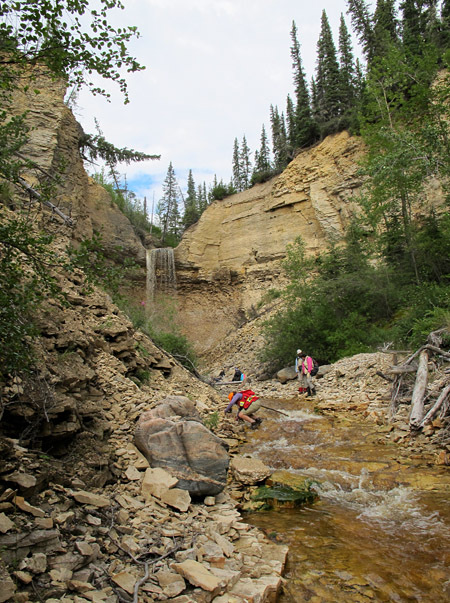 Geologists examine Upper Ordovician strata at Surprise Creek, a tributary of the Churchill River. 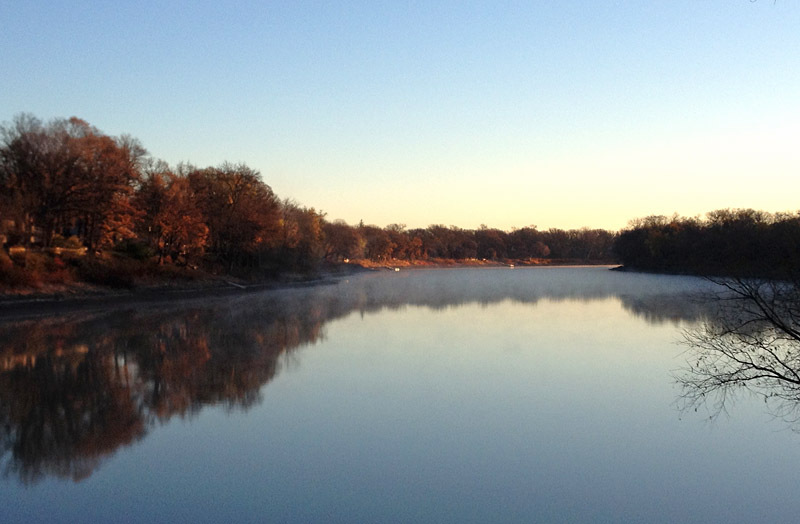 The calm Red River on a Winnipeg autumn morning, just a few minutes’ walk from home. ← I haven’t been around here much lately because . . .
Hi Graham, Our wonderful bounty of fresh water in Canada…held in the many ponds and lakes is a great blessing. 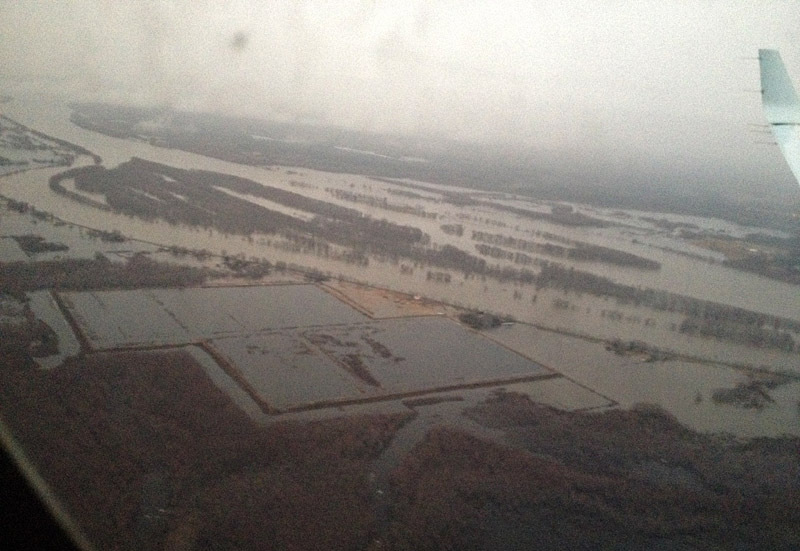 I can remember the fact that Minnesota had 10,000 lakes on its licence plates sometime back…. Manitoba, not to be outdone, had a 1971 plate with…100,000 lakes. Perhaps it’s not an exaggeration! Thank you, Steve! I suspect that Manitoba would have well over 100,000 lakes, if we include potholes and tundra ponds, but how would we ever count them?